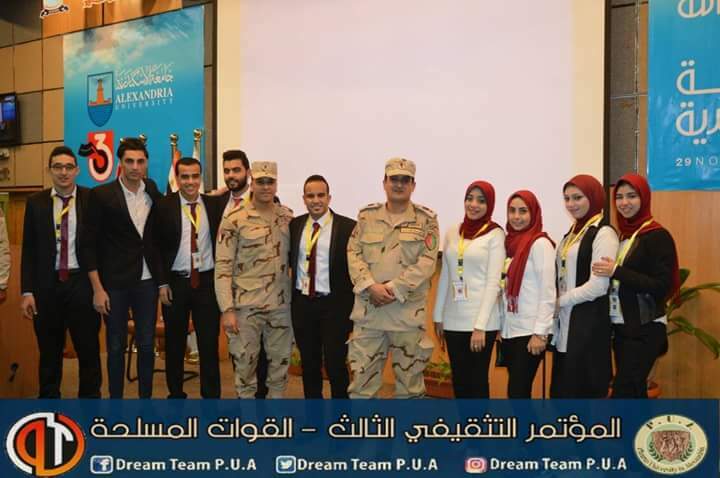 Pharos University participated in the 3rd cultural seminar that was organized by the Egyptian Armed Forces, in collaboration with Alexandria University. 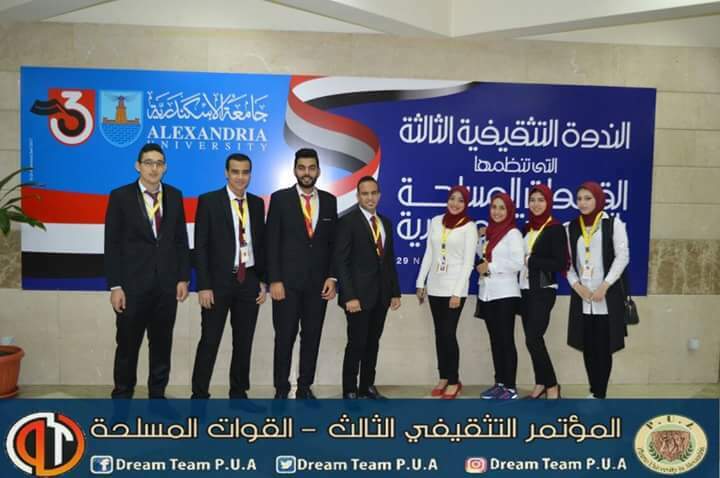 The seminar was held on Wednesday 29/11/2017 at the Grand Conference Hall at the faculty of Medicine – Alexandria University. 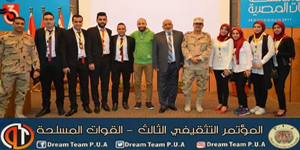 It was coordinated by Staff Major General Khaled Tawfiq, a Commander of the Military and Civilian Defense Forces and Prof. Essam Alkordy, the President of Alexandria University. 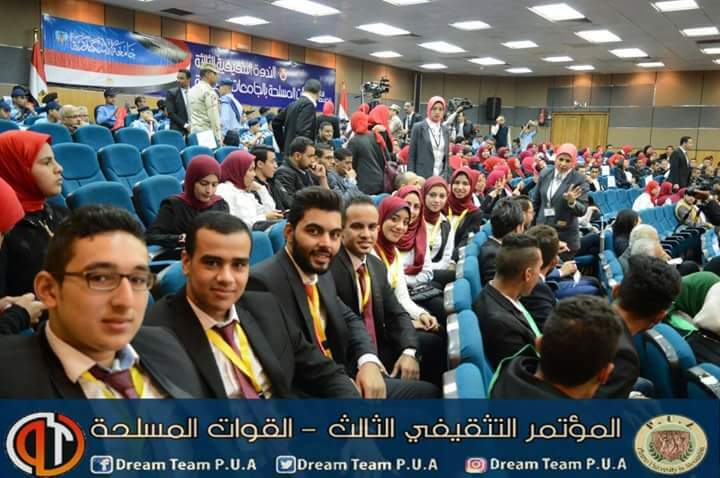 The aim of the seminar is to raise the university students’ awareness of the university students about the present political situation in Egypt and the challenges the Egyptian Police and Armed Forces are facing in their war against terrorism and extremism. 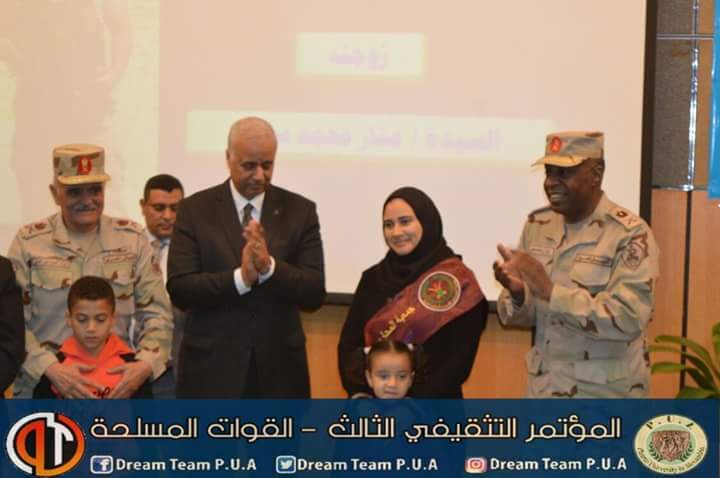 The seminar also involved honoring some martyrs’ families, injured casualties of terrorist attacks and some prominent figures of the 6th of October War 1973. 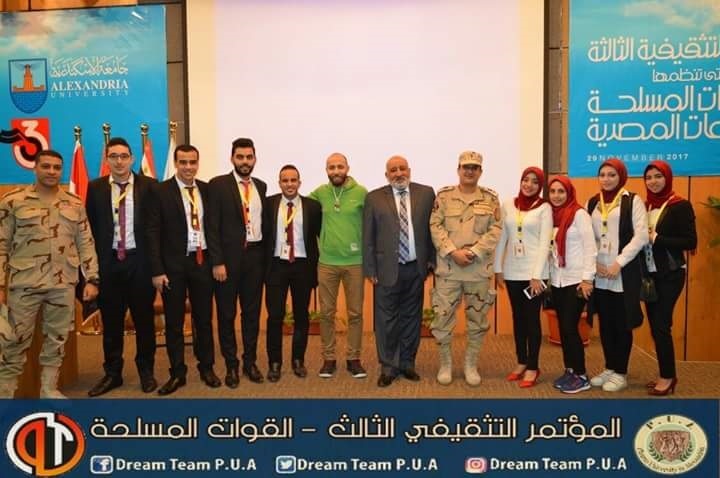 A considerable number of students from Pharos university attended the seminar under the supervision of Colonel Mohamed Farouq, the Head of Conscription Office and Mr. Abdel Hamid Abdel Azim, a delegate from the Student Activities Department.